Boise, Idaho-based Pets Best Insurance, one of the nation’s leading pet insurance providers, announces the addition of a new, low-cost feline specific plan, with plan options starting at less than $4 a month. Boise, ID- August 15, 2012- After listening to the needs of cat owners from across the nation, Pets Best Insurance, the very company that was founded by US pet health insurance pioneer, Dr. Jack Stephens, has launched a low cost feline-only illness cat insurance plan to help cat owners provide the best veterinary care to their pets. Pets Best Insurance has offered pet insurance policies to both cats and dogs since 2005, but this feline-only illness plan is the first of its kind, in that it only covers costly feline illnesses—whereas the standard plans cover both illness and accidents. Dr. Stephens said premium cost is another thing Pets Best Insurance took into consideration, and that the average Feline Illness plan starts at just a few dollars a month, depending on the deductible selected. “We wanted to provide an affordable introductory pet insurance for cat owners to help cover higher vet costs associated with the more-expensive illnesses that are entirely out of the cat owner’s control,” he said. Some of the most expensive feline illnesses covered include, cancer, hyperthyroidism, diabetes, chronic renal failure and pancreatitis, just to name a few. Dr. Stephens said cat insurance is of particular importance because unlike dogs, cats tend to instinctually hide illness and injury from their owners. The Feline Illness plan covers over 20 feline illnesses and reimburses cat owners up to a $4,000 annual limit per year, and up to a $10,000 lifetime limit. While the plan does not cover all feline illnesses, diseases or accidents, Pets Best Insurance thinks the coverage is extremely comprehensive and will help even more pet owners protect their beloved pets. Dr. Stephens said indoor-only cat owners sometimes think their cats are safer. But illnesses like cancer, kidney disease and diabetes are rampant in cats and treatment for these conditions can be thousands of dollars. Cat owners can get a free quote at www.petsbest.com and purchase online or over the phone. While pet insurance premiums are based on age, location and breed, the feline illness only plans start as low as $4 a month. 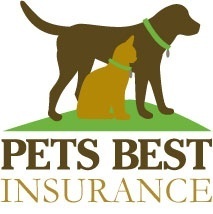 Pet insurance plans offered and administered by Pets Best Insurance Services, LLC are underwritten by Independence American Insurance Company, a Delaware Insurance company. Independence American Insurance Company is a member of The IHC Group, an insurance organization composed of Independence Holding Company, a public company traded on the New York Stock Exchange, and its operating subsidiaries. The IHC Group has been providing life, health and stop loss insurance solutions for nearly 30 years. For information on The IHC Group, visit: www.ihcgroup.com. In states in which Independence American Insurance Company’s new policy form has not yet received regulatory approval, Aetna Insurance Company of Connecticut will underwrite policies. Each insurer has sole responsibility for its own precuts. To determine the applicable underwriter in your state visit www.petsbest.com/underwriter or please call Pets Best at 1-877-738-7237.